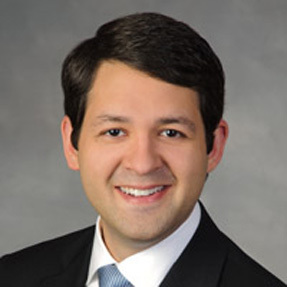 Rep. Larry Pittman, a great proponent of establishing a state religion in North Carolina (among other acid baths), has drawn a Republican challenger in the Republican primary, a lawyer with Womble Carlyle named Michael Fischer, whose campaign photo makes him appear approximately 15 years old. We wish him well. Preacherman Pittman strips the paint off any wall he stands near. He's a practitioner of the one true religion: God, guts, and guns. 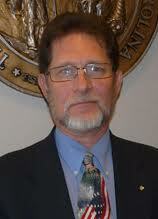 He laid into former Speaker of the House Thom Tillis as a "swish" who wouldn't support Pittman's far right agenda. He's been a special enemy of gays and of progressives, who are the same in his eyes, and he particularly hates Planned Parenthood, which provides over 18,000 tests for sexually transmitted infections, over 11,000 life-saving breast and cervical cancer screenings, and contraceptive services to more than 61,000 women every year in North Carolina. In early 2012, Pittman sent an email to House members calling for public hangings and said doctors who perform abortions, rapists, and kidnappers should be executed. In the 2014 rankings of legislative effectiveness, Pittman was the lowest ranking Republican in the House at 118 out of 120 members. Reckon the key word there was "effective." Since Pittman ain't. And Michael Fischer says he worked as a school teacher before becoming a lawyer, so maybe he's not an idiot.